Shopping Cart Elite is a feature-rich and highly customizable ecommerce platform. While slightly more expensive than other leading platforms, there’s a great deal of value to be had. Design is an important part of running a successful online store. You want an anesthetically pleasing website that stands out from other e-retailers and you want it to be highly functional – meaning your design elements can’t get in the way. Shopping Cart Elite makes customization a breeze for first time users setting up a store. Your customization starts with the selection of a basic theme for your site. From there you can add a logo and alter the layout of your pages. There’s no indication of the total number of templates available, but Shopping Cart Elite does offer design assistance if you can’t find something that fits your preference. The website builder functionally gives you an easy drag-and-drop interface to work with. You also have full control over design with access to CSS and HTML editors, as well as Java. Work with the existing templates or customize to your hearts content, Shopping Cart Elite works with store owners of every skill level. If you’re shy on inspiration for adding elements to your site, it offers plugin and app integration as well. The ability to integrate 3rd party services adds a wealth of customization to any ecommerce site. Unfortunately, Shopping Cart Elite lacks the ability to modify actual cart functionality. 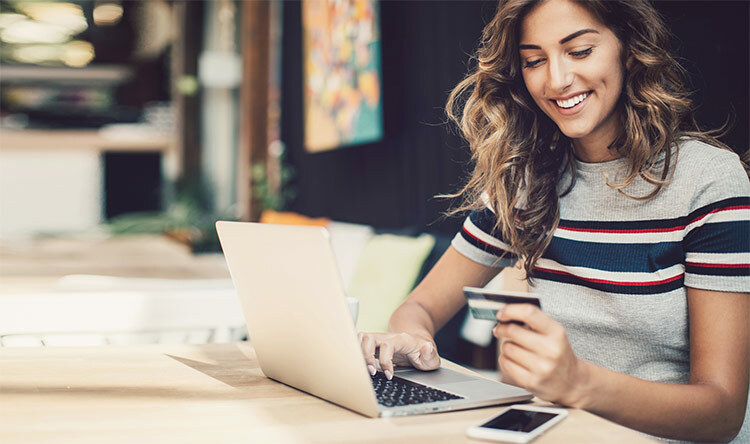 When reviewing the individual packages, you’ll find that Shopping Cart Elite does not charge a transaction fee, which puts it on the level with many other top-name services in the industry. You also won’t find payment gateway limitations with Shopping Cart Elite. In addition to PayPal and Amazon checkout services, there are more than 100 supported payment gateways. Shopping Cart Elite boasts compatibility with 99% of the world's gateways, so no matter who you use for payment processing you should have no issues with gateway integration. Shopping Cart Elite offers the standard selection of search engine optimization (SEO) tools, comparable to virtually all of the other major ecommerce platforms. This includes the ability to optimize meta content, create rich snippets, and set up 301 redirects so you don’t lose traffic if pages move. The Crowd Sourced SEO tool is promoted as a way to dynamically generate extra pages based on the search queries of visitors. Those pages are allegedly better optimized and the phrase “Google will love it” is repeated throughout the website for Shopping Cart Elite. It’s important to note that Google will not love this, and it’s not a practice any online store should utilize. This only populates a website with useless content that provides no value to the visitor and is only intended to game the search engines. At best, it creates duplicate content which can harm your search rank. The promotion of this type of feature, along with the fact the content explaining SEO on its website reads like it was written by someone who clearly does not understand SEO, so Shopping Cart Elite loses points in this area. Shopping Cart Elite does not operate on leased or virtual servers. Its server bank is 100% owned and managed by onsite IT staff. Servers are monitored for unauthorized traffic and hack attempts including denial of service attacks. Redundant backups are done daily and in the event of a system failure or disaster, Shopping Cart Elite utilizes a backup system through Amazon Web Services to keep your site online. Additional security and privacy tools prevent content scraping, spam, and an application firewall that prevents database attacks and script injections. These services are available for their web-based hosting. If you choose to run the software on your own server, any security and server protection will be up to you to put in place and manage. Enterprise – Starting at $299/mo (per employee) – cost per employee is reduced as employees are added. There are a few ways to get in touch with the support team at Shopping Cart Elite. The website features a live chat function, as well as a “Contact Us” page. This page lists the snail mail address for Shopping Cart Elite and their submission form and support hours. 24/7 support is not offered, with customer service hours limited to 9am to 7pm Monday through Friday. There is also a support section of the website that lists what support is available. This is where it can get a little confusing. The support policy is broken down into different support options and levels but it’s not really clear how those levels work in relation to the plans. Much of the support offered is marked as “staffing only” which means that you’ll need to purchasing a staff service plan if you want extended support services. It really needs to be made more clear what kind of support comes with their subscription plans. The support policy does state that while support hours are limited, Shopping Cart Elite does monitor its network for critical incidents 24/7. Overall, Shopping Cart Elite has some impressive features and offers great customization. A robust experience is going to cost you though as its service is far more expensive than some of the other leading ecommerce platforms. Likewise, finding information on the website and getting to the value of any given feature is difficult. On the upside, the option to have its team completely setup and manage your ecommerce store is a great option if you don’t want to be bothered with the day-to-day grind.